Take them back to a time gone by, when rivalries ran deep and problems were solved on the road! 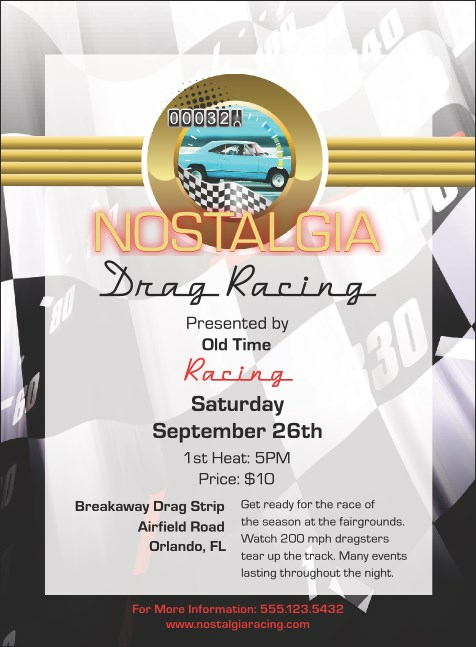 Featuring the photorealistic image of a classic car in the background the Drag Racing Invitation gains the attention of your potential attendees. Printed in full color. At TicketPrinting.com, you’re always the winner. Make sure to check out the matching event kit!